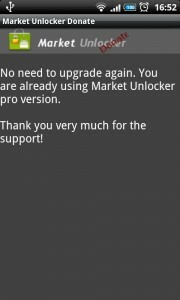 For people who cannot use google checkout, there’s another option to upgrade Market Unlocker to Pro version by using Market Unlocker donate app. 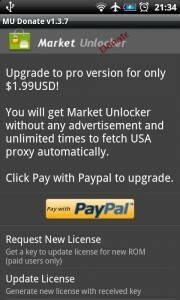 It’s a freeware to help users to buy Pro with paypal payment. Since Google does not allow other payment in Google Play Store, I have to remove Market Unlocker donate and publish it on my site. After paypal transaction has been completed successfully, below dialog will come up. 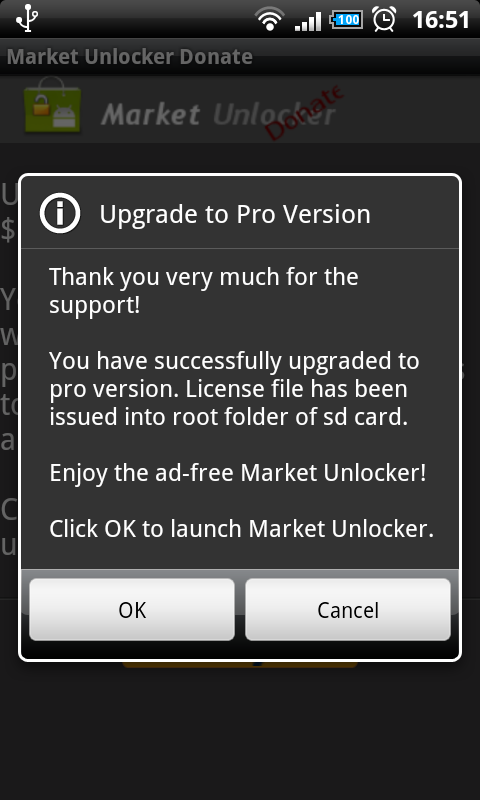 Clicking OK button to launch Market Unlocker PRO now. Launching donate app after upgraded, it will show no need to upgrade again. Note: It’s definite safe to pay with payal. Your paypal account cannot be captured/recorded in donate app. It’s an in-built Paypal transaction interface that restrict controlled by Paypal only. As an alternative, you may click below “Buy Now” to purchase a pro license on the web, and then Request New License using donate app on the phone. 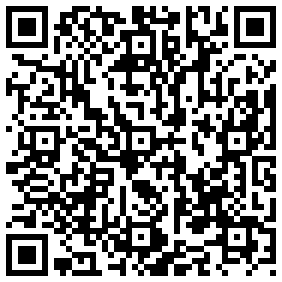 After paypal transaction has been completed, please install donate app on phone, and click “Request New License”. For existed pro users, you can install donate app and request new license in case of license file missing. New upgrade method for China users. 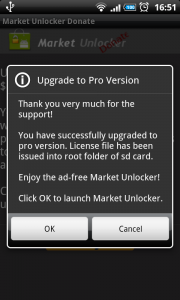 Q:Can i still use pro version after re-install Market Unlocker? A:Of course. License files “mu_lic.dat” and/or “mu_hwlic.dat” are stored in root folder of sdcard, most is /sdcard, for license check. Please make a backup of it. Restore it incase of any deletion. Q:How can I find a new license if old one lost or not working? A:Run donate and click “Request New License” to send out an email to author. And you will receive a new license. There are 2 options to update new license. Donate app will generate 2 license files mu_lic.dat and mu_hwlic.dat on your sdcard root folder. It’s highly recommended that make a backup somewhere in case of missing. Caveat: turn on WiFI before launching Market Unlocker in case of any license verification fail or force close. No, dude, I’ve created another developer account and going to publish them (both Market Unlocker free and checkout pro version) again. However I will not publish donate app to avoid possiblly violation to google content policy. Nope. Pro user can request new license to convert free version to pro version directly. No payment needed. And how can we do that? Through email? have you installed donate app? it will send out email while requesting license. I’ve sent you an email to troubleshoot this problem. What happens if we bought the app from Google Play? Do we also apply in this donate app to get the license file? 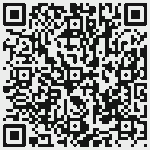 You may check out the latest free version (so far 3.4), and install donate app to get the upgrade license. No need to pay with paypal again. Just sent you an email regarding the solution. 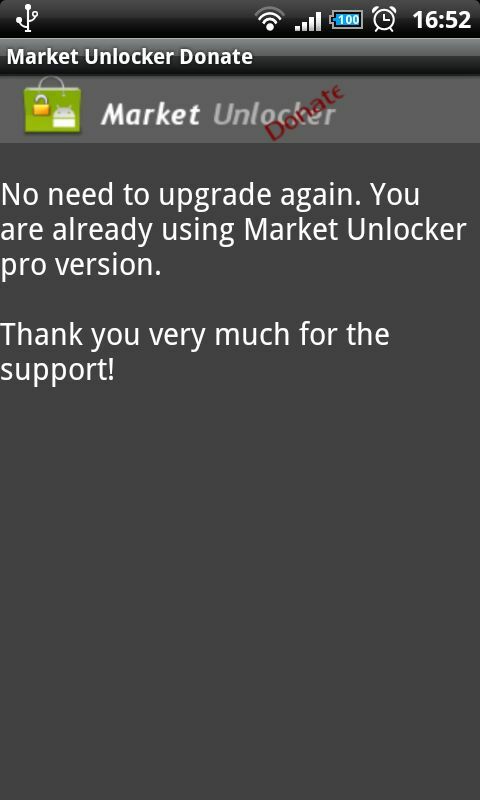 Today I upgraded Market Unlocker. 1) If I change ROM I need new license files or I can use already received license stored in root directory? 2) Can I use license for multiple devices? Hello, sorry for the delay. Have you got the license file? Can you please contact me info@evanhe.com? Thanks. Is it possible to purchase a pro licence with another currency like EUR than USD ? It cost me 2 EUR of bank fee when I pay in USD. Hi, you may drop me an email at info@evanhe.com. I will see if anything can help. Thanks.